Victory Gardens, medicinal gardens, a gathering place or a summer wonderland; Civil War gardens served many purposes and were a highly-utilized extension of the home. 19th Century American gardens were experiencing a transformation as the interest of gardeners was captured by European and Oriental gardens. 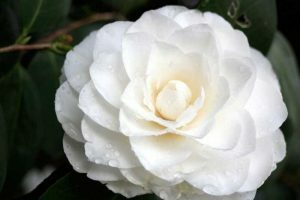 Gardens in both the North and South began changing from well-groomed conservative lawns and geometric beds surrounded by hedges to spectacular displays, patterns and colors left unhindered for all eyes to see. A focus on large bold flowers and creative placement were turning the garden into a showcase for middle to upper class Americans. In the North, the size and shape of garden ornaments was also changing from classics that complemented the garden design to conspicuous and extraordinary pieces that stood themselves as remarkable. American seed companies prompted avid gardeners to create unique and vivid displays with flower beds and new species. The decorative garden was a distinct distraction from the more common agricultural gardens of the day. Beds of robust flowers were solely intended to entertain the eye, not to feed the family. While engaging in agricultural duties was frowned upon by the socialites and well-to-do, tending a lovely garden was considered genteel and the results were highly-respected. For this purpose, decorative gardens began appearing in front of the home, surrounded by low fences instead of privacy hedging. The trend toward contrast in color, height, shape and density eventually inspired a return to more natural wild flower gardens. The seed companies happily complied with the new trends by introducing new species and encouraging creativity. As the war grew on, vegetables and fruits were commonly planted amongst and around the decorative garden, an answer to waning food supply and financial concerns. From this practice, farm-to-table became a more prestigious undertaking, with prized harvest highlighting the war era table. In the South, gardens were commonly smaller, more simple, and accented with native poplars, magnolias and oak trees. Southern gardeners, facing difficult weather and growing hardship, opted for spacious well-groomed areas that required less delicate attention. Most plantations avoided decorative gardens, and those that did most often opted for the classic geometric design hedge-surrounding lawns, ornaments and moss-covered Oak trees. Azaleas, Magnolias and Crepe Myrtle were a natural, simple and decorative additions to the simple Southern Garden and pathways were decorated with crushed stone or ground cover to add color and texture. The Gardeners Monthly Horticultural Advertiser , a popular periodical that walked subscribers through monthly gardening maintenance while promoting new species, seasonal plants/seeds, and agricultural products, was instrumental in leading the trend toward low-hanging trees. In 1860, contributor Jos. Amram. stated in this publication that avoiding pruning of the lower limbs of trees was not only right, but healthier for the tree. Suggesting “cries of anguish” by trees being trimmed, Amram personally shamed gardeners into following a more natural path. His points were met by editorial comment challenging readers to “take up the glove” in response. Greenhouse gardens were also popular during the time, which gave way to early planting of specimen (scientific) florals, and raising of cuttings, and crossing breeds of grapes and other fruits, allowing further expansion of unique garden design. In 1860, Florist Mary C Rion published Ladies’ Southern Florist, introducing women of the South to 150 ornamentals suitable for the Southern Climate. 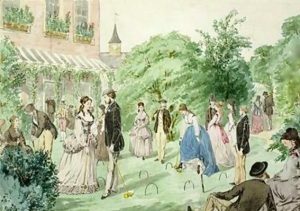 The popularity of garden parties in England spread to America, evolving into coveted social affairs where upper-class citizens boasted trendy custom. Less formal than indoor parties, balls and fine silver celebrations, the Civil War ear garden party was elegant as well, but offered spacious lawns and brilliant floral surroundings. Influenced by Queen Victoria’s Buckingham Palace celebrations, which were held to honor citizens and build community rapport, outdoor activities and lavish fare were becoming customary and important to the social esteem of the Americans. The traditional Buckingham Palace Garden Party began around 3pm, just before afternoon teatime. Guests were greeted by royalty and citizens ranging from peasants to the well-to-do were welcomed, and a major presence of military and social service organizations were always invited. As socialization was the primary purpose of the gatherings, the invitation list included people from all walks of life and activities supported vivid engagement and discussion. The palace traditionally served a custom blend tea and cakes on elegant tables throughout the party. Military bands provided entertainment while guests and Royalty moved about the lawn to discuss the topics of the day. Unlike the all-inclusive and charitable garden parties of the palace, the American garden party evolved into a social showcase and networking event, with upwardly-mobile hosts and hostesses vying for attendance of the influential citizens of the community. The most coveted invitations graced attendees with lavish fare and fine china, painstakingly presented in order to earn positive reviews by attendees and entertainment connoisseurs. French chef inspired dishes and farm-to-table creations highlighted the hosts’ culinary skills and gardening expertise. The presence of imported specialties was also a signal of wealth and influence. Crustless cucumber and mayonnaise sandwiches. As throughout the nation during the war, the menu was affected by the availability of ingredients, and difficult-to-acquire foods earned additional compliment. In North America, the aromatic roots, which are different than the Asian species, were gathered and used for centuries by Native Americans, including Northern Michigan’s Chippewa and Menominee tribes, who used it to enhance mental alertness. The Potawatomi used ginseng as an eyewash, a fertility enhancer, and to cure earaches and relieve stomach complaints. Daniel Boone once called Ginseng “Forest Gold” and this unassuming plant is indeed a goldmine of healthy properties. American Ginseng has been known for its aphrodesiac, tonic, immune system booster, and other curative powers. Particularly vulnerable to habitat destruction and overharvesting, ginseng plants once covered the mountains. But over the course of the nineteenth century, they gradually disappeared from much of their former range, leading many mountaineers further into the mountains in search of the plants. 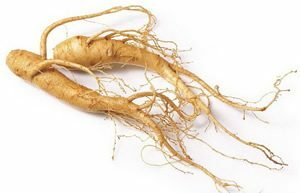 Following the lead of the French Canadians, American colonists began exporting large amounts of American Ginseng (Panax quiquefolia) roots to China in the early 18th century. The Chinese, who had been consuming the related Asian ginseng for thousands of years as a health tonic, found the American species to be an adequate substitute, providing generations of backcountry settlers with a ready market. An 1859 “ginseng rush” in Minnesota helped settlers survive the temporary collapse of the territorial economy just before the Civil War. Ginseng digging had been a means of supplemental income for at least two generations of mountain residents, but after the war, in the face of a tattered livestock industry and depressed agricultural prices, many came to depend heavily, if not exclusively, on the plant. While they also harvested other plants, herbs, and marketable forest products, ginseng was by far the most lucrative. 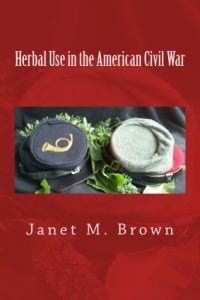 They traded its root for necessaries of life, including coffee, sugar, shoes, whiskey, powder, and lead. Country merchants performed the role of middlemen, collecting the roots and selling them to trading firms, which would then ship them almost exclusively to China. Utilizing these networks, residents of the southern Appalachians fueled a boom that raised the nation’s ginseng exports from less than 200,000 pounds per year in the 1850s to over 400,000 pounds per year from the start of the Civil War through the 1880s. The thick hardwood forests and rich soils in Michigan make prime growing areas for American ginseng. Many people can buy and plant their own, but patience is key: it can take five years for the first crop to develop, and the older the root, the more they’re worth. The price for the root depends on size, color, age, and shape. The root is harvested in the Autumn. Boil 24 ounces of water, preferably in an enamel or porcelain pot, then add 1 to 3 grams of dried whole or sliced root. Reduce heat and simmer, covered, for 20 to 30 minutes. Cool to room temperature. Take 1 to 2 cups a day. Ginseng tea can be refrigerated to last for several weeks, and reheated. Hot tea is okay, but traditional Chinese medicine recommends taking teas at tepid temperatures. Safety Warning: Don’t drink or eat Ginseng if you have high blood pressure or drink a lot of coffee. Relieves nausea and vomiting; for fevers and inflammatory illnesses. Helps with hemorrhage, and for blood diseases. Ginseng is great for women in easing childbirth and normalizing menstruation. It can promote both mental and physical stamina. It can promote appetite and is stimulating to the nervous system, aiding in rejuvenating the body. It acts as a demulcent and is therefore useful for colds, coughs, and many chest problems.